Bedrooms are fundamentally where we sleep, where we wake up to face the day – and where we go to get peace of mind. But we end up stashing the bedroom with random stuff because we are not sure where else to keep it. To declutter the bedroom without parting away from the stuff we love, the best you can do is, buy a double bed with storage for your bedroom! 1. Reclaim your bedroom with storage that is incognito, you can hide up everything starting from sheets and duvets to clothes and shoes. This way you can have a good night sleep in a comfy double bed that has plenty of space to store your things and easily find them again. 2. Extra storage space under the bed by turning sleeping space into organised storage as you can store a wardrobe’s worth of stuff in double bed with storage. 3. Ideal for small spaces as small bedrooms can get in a mess faster. You can utilize every inch of storage available making double bed with storage a practical and cost-effective solution for your bedroom. 4. Space for you and your stuff: Double bed with storage gives you space to store your things within reach but out of sight till you need them. 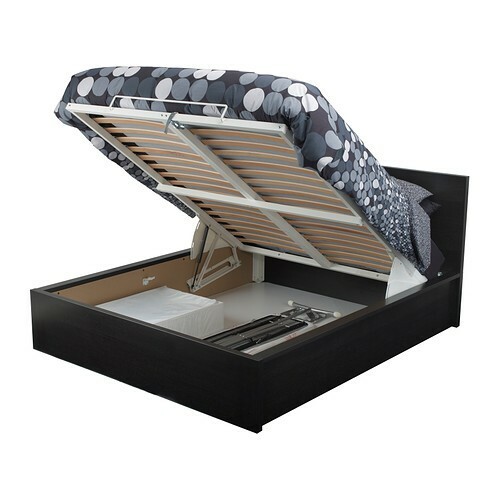 You can keep things under bed storage boxes or in a storage unit at the foot of your bed. 5. Justifiable cost: Since a double bed with storage serves two purposes, increased space for sleeping and storage, therefore it cuts the need to buy an additional storage cabinet for your stuff. Double bed with storage is an adorably organized furniture that not only gives you extra handy space but you’ll get enough space to move around in the room too.